Well here I am back again! 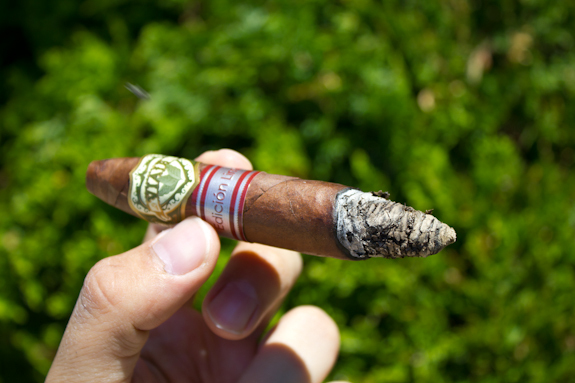 Tony posted up a few wicked summaries last week from his Drew Estate Cigar Safari trip. If you haven’t read them yet make sure to go check them out. He met some awesome people, learned some awesome things and took some awesome pictures along the way. Here are the links to his Day 1 post, Day 2 post and Day 3 post. As for me, life has been pretty busy and it will surely continue to be that way until the big wedding day coming up in September. 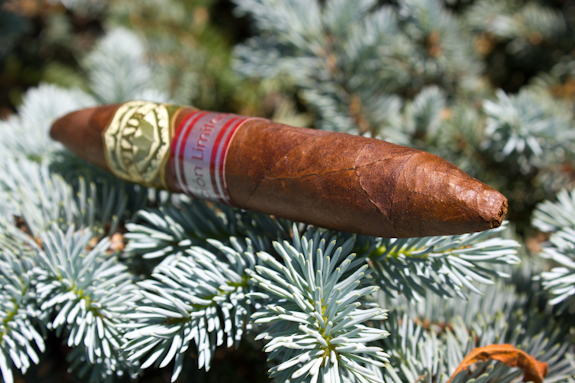 I did manage to sneak away last week and put together a review of the Viaje Oro Edicion Limitada Perfecto Squared. Try saying that 10 times fast! haha. 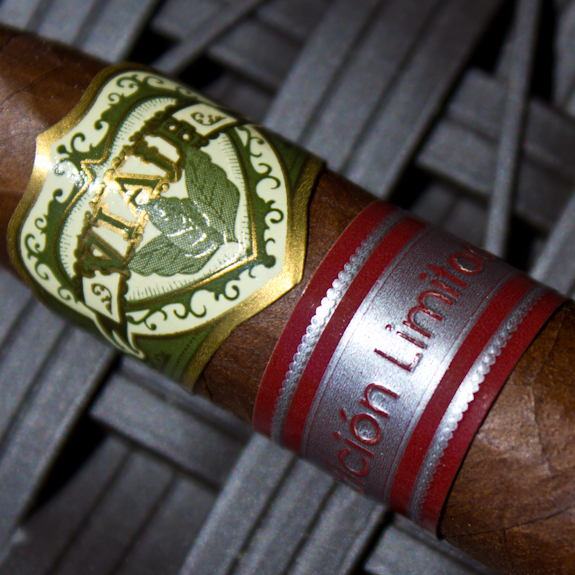 Now Viaje is a brand I don’t really get to see a lot of North of the border in Canada. Due to their mostly limited production they also have a fairly limited distribution and they also seem to be well sought after, making them even harder to come by. The few I have gotten come from trades or bombs, just like this one did. 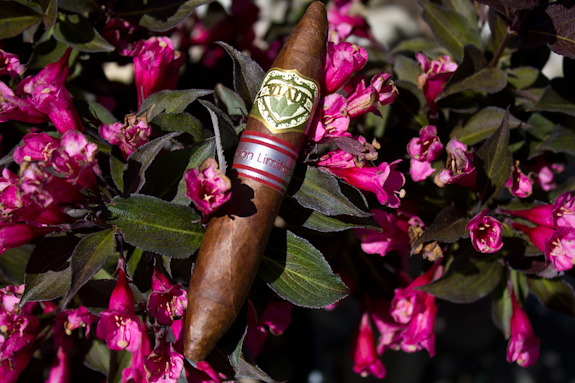 Today’s Viaje is part of their Oro line up and is the limited edition version, so it’s even more limited production so I’m happy to have a chance to review this one for everybody. There isn’t a ton of info on the Viaje brand or this particular cigar but I’ll do my best to give a little bit of background. The brand owner is Andre Farkas and he naturally portrays the brand as a boutique cigar company which specializes in small batch cigars. 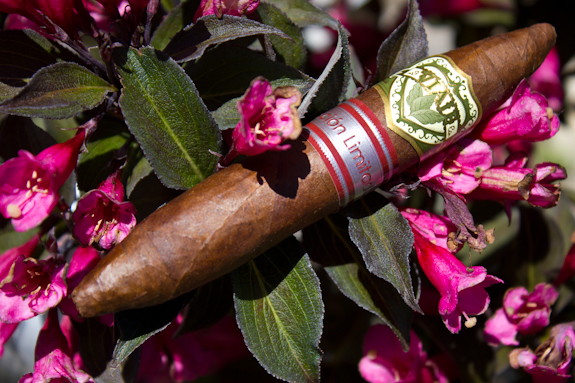 The actual name Viaje is a Spanish word that translates to ‘Journey’ and Andre currently has 7 lines under the Viaje flag. 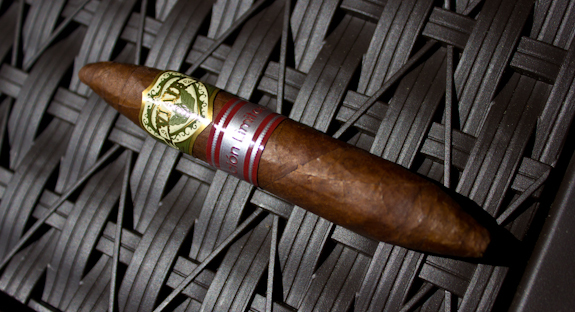 The Oro lines is produced at the Raices Cubanas factory and comes wrapped with a Corojo99 leaf and a double binder. Now if you can get your hands on a few of these, they’ve all been pretty darn tasty from the small samplings I’ve had so far. They are all Nicaraguan puros, so if you are a Nicaraguan fan, you will be at home here. 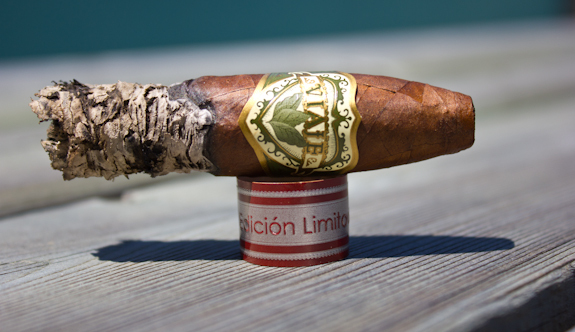 So let’s jump on in and see if the Viaje Oro Edicion Limitada Perfecto Squared lives up to the reputation that I’ve come to expect from the brand so far. •	Just past the half-way mark I’m getting a nice espresso flavor mixing in with the spices and woodsiness, this is getting better and better! •	A nice tasty and flavorful finish without any harshness to worry about, bravo! I haven’t had too many Viaje’s in my days, mostly because they don’t reach Canada in distribution and of course they are fairly limited. But all-in-all I quite enjoyed this one! 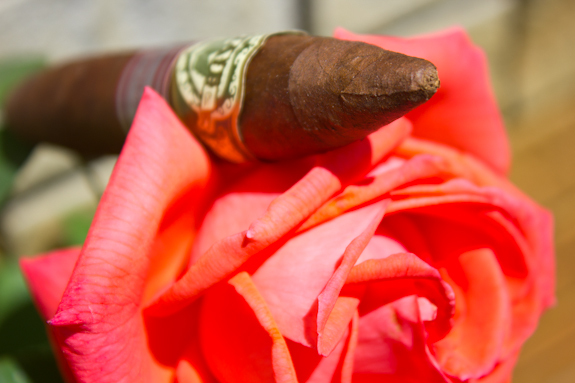 The ash may not have been pretty but we’re not here for good looks, we’re here for flavors and the Viaje Oro Edicion Limitada Perfecto Squared did not miss the mark there at all. Tons of interesting flavors that kept changing made me wonder what the next draw was going to bring me, I love having that in any cigar. There were a couple issues on the burn but nothing major that I would knock this cigar for. The price is a bit up there at the $9 mark but even at that price I’d say it’s worth trying a few of these. That is, if you can find them cause they are pretty much all gone from what I can tell. Next to the Scottish brewery of Innis & Gunn that I paired last week, another of my favorite breweries is none other than Canada’s own Unibroue. This place is based out of Quebec and has a HUGE inventory of brews with a ton of different and unique beers that are a rare find. Today’s brew is called Raftman and I only found a case of these while actually in Quebec, I’ve never seen it in any other stores so far. Now this brew was very interesting as the label says it is brewed with Whisky Malts so I just had to pick it up and give it a try. Well I’m glad I did cause this is one tasty brew and yet again another winner from Unibroue. It’s a fairly light amber beer but it packs in a ton of flavor. The whisky malts are very obvious as they give a classic touch of whisky, as if you just put a little whisky inside a good beer. Along with that it also has a delicious malty finish and some notes of sweetness as well. As for the pairing, I found it made an awesome compliment for the Viaje Oro Edicion Limitada Perfecto Squared. 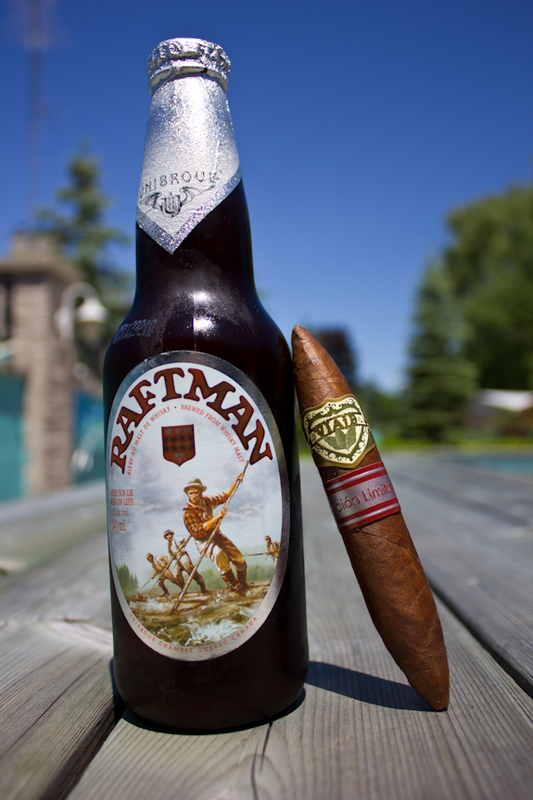 The unique and interesting flavors on the cigar made for an awesome experience to go with the beer. Other good selections could have been a nice Porto, or a flavored coffee seems like an interesting idea here. 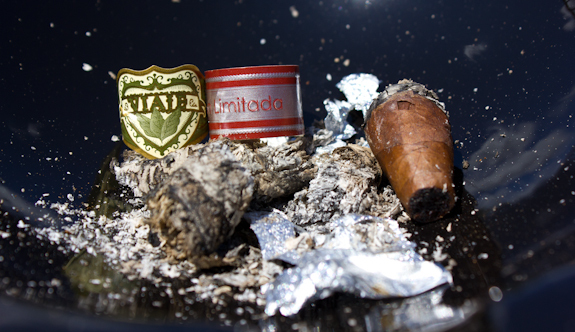 This is still when Viaje was shining. The older releases are really good IMO, the newer stuff… meh. Tony sent me a photo of this last week, so then I had to smoke one also lol. Great experience. Just smoked my first with my brother this evening. Strong, woody and a spice finish for the first half then settled to a nice woody smooth smoke for the remainder. An interesting cigar and I liked it! I would love to land these cigars into my hands. These are definitely one of the best buys for cigars.